Busy restaurant owners are often so focused on serving their customers that maintaining their finances becomes a challenge. Before your books get out of hand, turn to an experienced Spokane, WA CPA like Matheney and Matheney CPAs PLLC. As your business grows, so do your accounting and bookkeeping requirements and we can care for those needs as they evolve. We offer a full menu of restaurant accounting services and tax planning strategies designed specifically for businesses like yours. 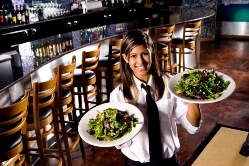 Whether you run a small privately owned restaurant or a franchise with locations in multiple states, we can develop a package of services to suit your particular business. Matheney and Matheney CPAs PLLC offers restaurant accounting and bookkeeping services designed to save you time and resources. Call us today at 509-893-0150 to learn more or request a free consultation online and we'll contact you.